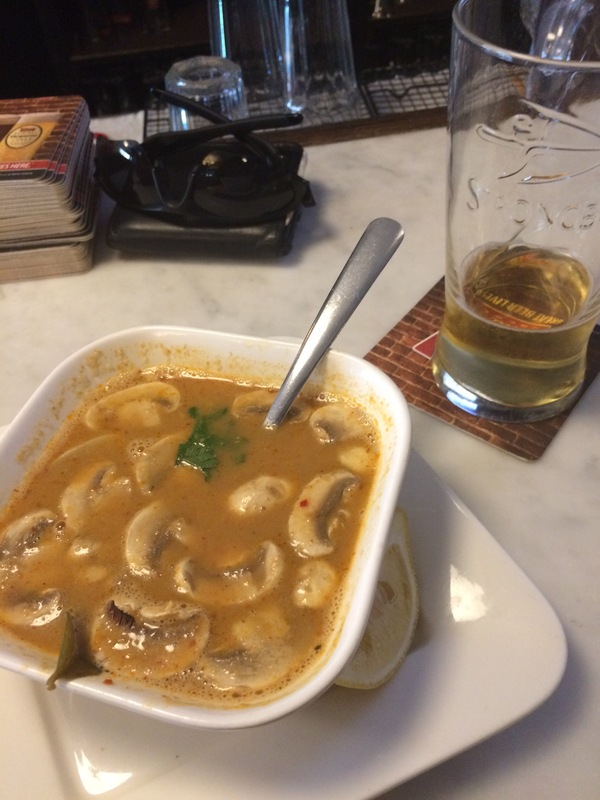 Enjoying a pint of Strongbow and a bowl of Thai coconut chicken soup at a pub in Toronto, downtown while The Wife is at a nursing exam at Ryerson U, and making plans for next week’s trip down to Havana. It’s been MONTHS since I’ve been on here. Haven’t so much as even logged on to the FOH forum since May or June issue. Purposely still stayed unplugged this summer, to continue the family “healing” and such as outlined before. All those “catch up” posts are done and ready mostly; just sone final proofreading before publishing. Planning on rolling it all out after this next trip down to Cuba for this year’s Encuentros de Amigos de Partagas festival week. With that, just heard in the last week that Cuban custom cigar prices are likely going up by 20-35%, a result of higher raw material costs. No doubts also due to the massive amount of additional U.S. travelers too! I’ll have to drink the pain away instead!!! Bring on the liver prep! Cheers Ray! Yeah, all is better and more and more well after the last few months and past year now. Soup tastes even more delicious!!!!! Thanks for the well wishes, and I’ll catch up with you and others shortly after my trip. Cheers amigo! Glad to see you back in action brother, we’ll definitely have to catch up soon!